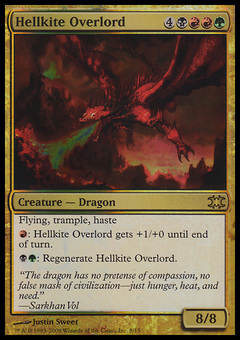 Bogardan Hellkite ($2.46) Price History from major stores - From the Vault Dragons - MTGPrice.com Values for Ebay, Amazon and hobby stores! Card Text: Flash (You may cast this spell any time you could cast an instant.) 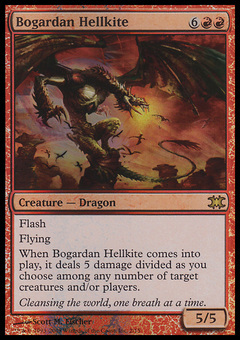 Flying When Bogardan Hellkite enters the battlefield, it deals 5 damage divided as you choose among any number of target creatures and/or players. 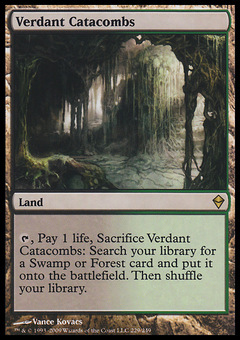 Flavor Text: Cleansing the world, one breath at a time.